a very cool sculpt by Raul G. Latorre I have to admit, even the concept of the armour did pretty well in driving me close to insanity. 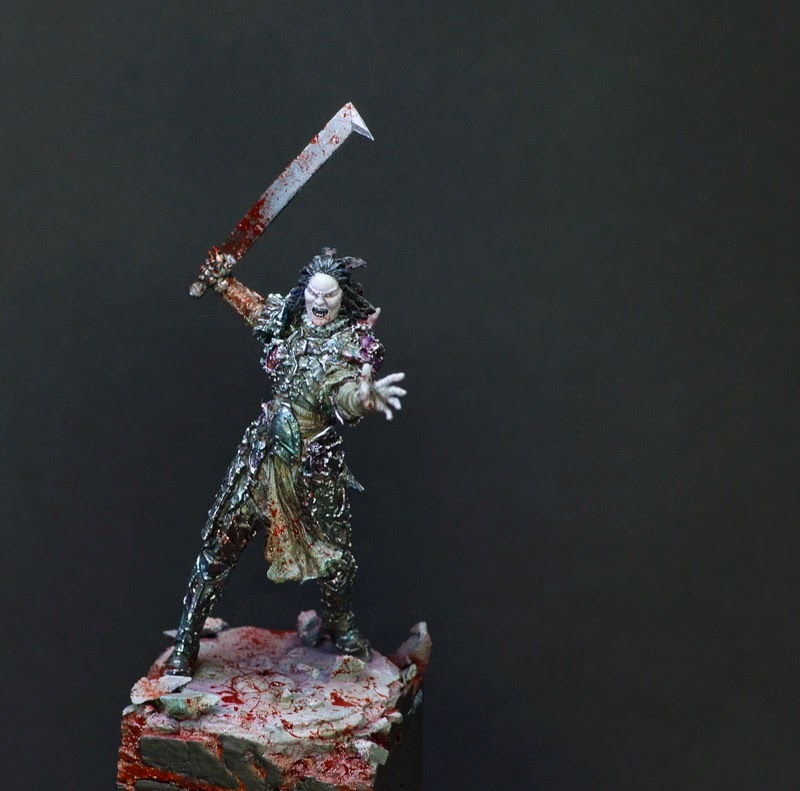 It was fun to paint and somehow my vision of this model was the one of an angry Vampire due the 17th century influanced fabrics appearing in the sculpt. I used the alternative head and weapon in my version, you can see the other version here on the beautiful Box Art by Fabrizio Russo here. 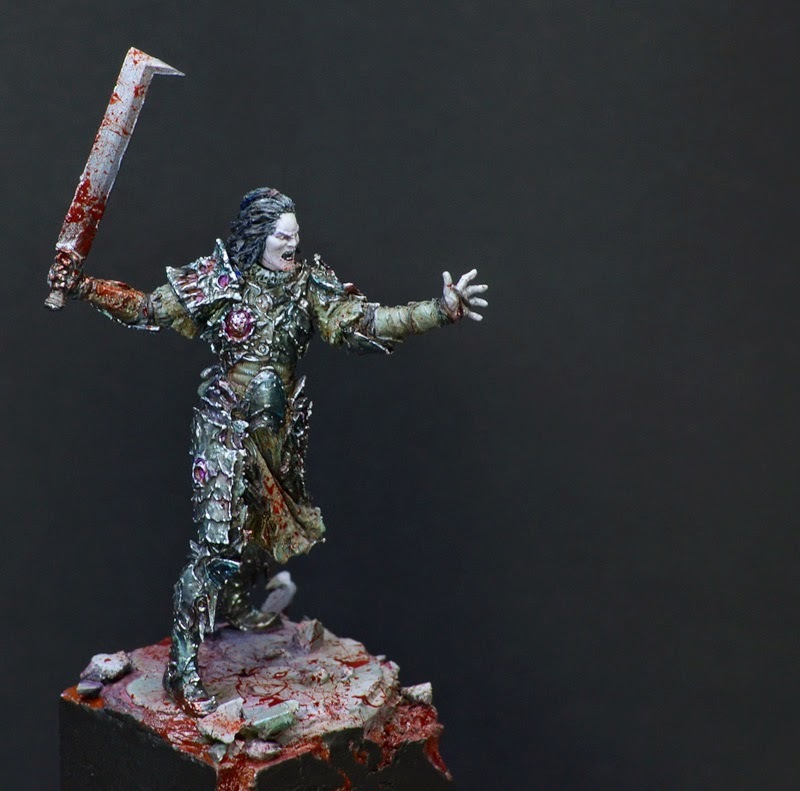 If you like to see more photos of this model, feel invited to check Putty&Paint! Hope you like him! Keep on happy painting! 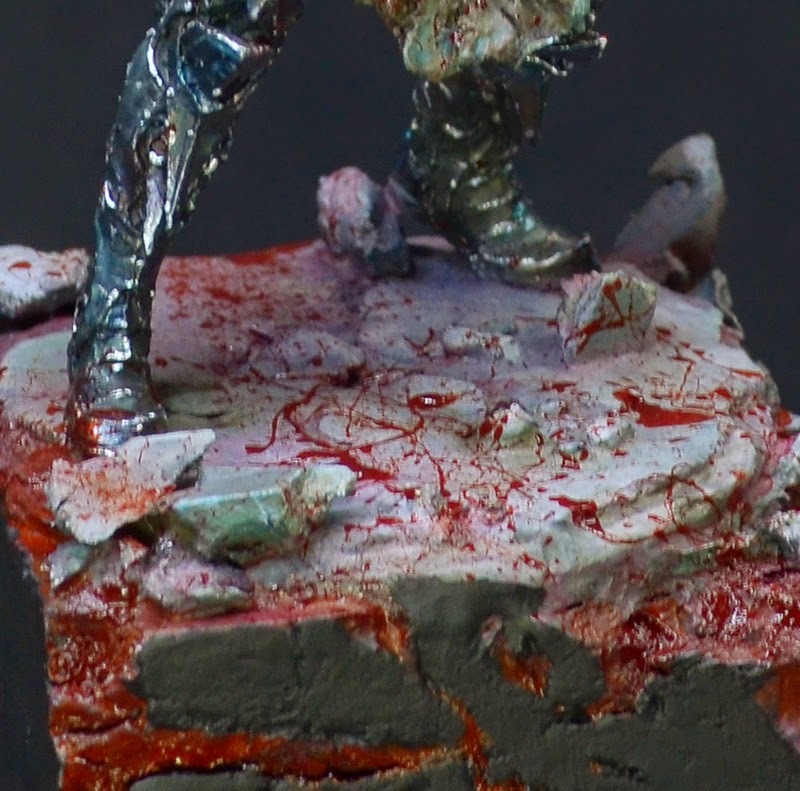 are we also getting a step-by-step of this miniature?